The Chinchilla has been internationally prized for its luxuriously soft fur since shortly after the conquest and occupation of Spanish America. Chinchillas have a long and distinguished history. They are almost certainly descendants of pre-historic chin like animals called "Megamys". Story has it that the progenitors and indeed the chinchillas since then have not ventured outside the confines of the area in which they were originally found. They were originally native to some semi-arid areas of the Andes mountains in Argentina, Bolivia, Chile and Peru. An area of approximately 12,000 square miles, they flourished in the wild state. The chinchilla got its name from the Chincha Indians, who used the chinchilla for food and clothing. 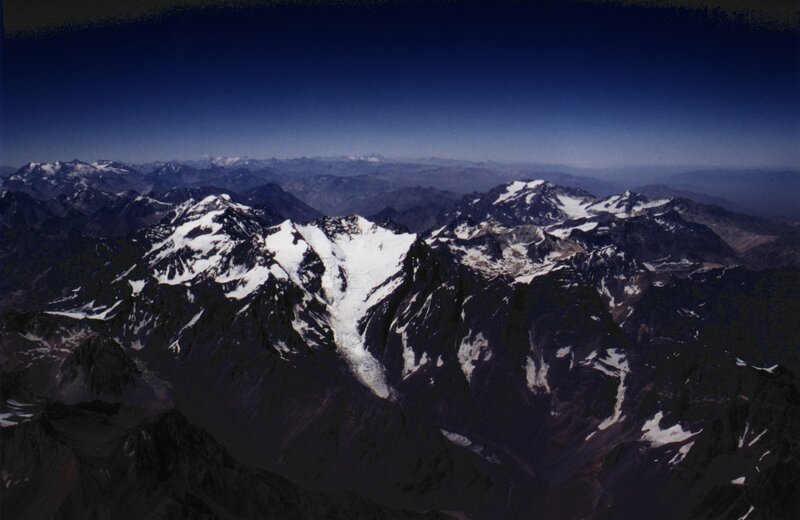 The background you see is the picture of Flying over the Andes mountain range, this will enable you to look how is it look like where the wild chinchilla lives. Chinchilla means "Little Chinta." which the South American Indian tribe for which it is named. When the Spanish conquered the Chinca Indians in the 1500’s, they discovered these little fur balls and after touching their fur found them to be in high demand for their pelts. During the 15th Century, a tribe of Indians, the Chinchas had haunted and trapped this tiny animal subsisting on the meat and using the skins to sleep on. They also wore robes woven from the plucked fur. So the Spaniards called this all-important little animal Chinchilla after the Chinchas. In Europe in the late 1700’s and early 1800’s, a chinchilla fur coat was a must-have for royalties and well-to-do families. It took approximately 100 chins to make a coat so many of the creatures had to be killed to make one coat. The outcome was a low number of chins in the wild by the end of the 19th century. The Chilean government seeing the chinchilla on its way to becoming extinct began passing laws to outlaw the killing of these beautiful rodents. In time, the mighty Inca Indians conquered the Chinchas. Under Inca rule, the Chinchas were forbidden to wear the Chinchilla robes. They immediately became the fur of the Inca Royalty and adorned only those Incas who were of noble birth. In the 16th Century the Spaniards who demanded great tributes for their queen in turn, conquered the Incas. A story is told of one emissary who, seeking to win favor, sent his queen a strong box filled with jewels and gold plate. For protection, he wrapped the box in a Chinchilla robe that he had taken from an Inca Chief. Thus was Chinchilla introduced to the civilized world every woman in Spain longed for fur such as the queen wore? Never had they seen a fur so soft, so light, of such delicate bluegrey tones, with such subtle, almost iridescent shading. It was a never-ending source of fascination and envy to all who were fortunate enough to see Chinchilla. So great was the demand that the Spaniards in South America sought for Chinchilla with the same zeal that they searched for gold and precious stones. The demand continued to grow faster that the supply as news of this rare and lovely fur spread over Europe. Chinchillas live 3,000 to 15,000 feet above sea level. They live in crevices of burrows high in the Andes Mountains of Peru, Bolivia, Chile and Argentina. The mining ventures called the British to the Andes and, longing for their native sport, they sent to England for red foxes, which they turned loose in the Chinchilla's native habitat. On weekends, the English hunted the fox, and every day and night during the week the fox hunted the Chinchilla. In 1918, the governments of Chile, Peru and Bolivia outlawed the exportation of pelts and prohibited trapping but the harm was already done. M.F. Chapman was working as a mining engineer for Anaconda Copper in Chile in 1918 when he saw his first chin. A native of Chile had captured one of the rodents and taken it into Chapman's camp to sell. Chapman purchased the rodent and developed a big interest in it. This interest lasted the remainder of his life. He had the desire to own more than one of these little fur balls, and began the dream of a whole herd. Chapman really wasn't the first man to love chinchillas. Natives made clothing and blankets out of chinchilla fur because they loved the smell, the softness, and the beautiful look of the fur. An Englishman named Sir Richard Hawkins also admired chinchillas. He wrote a book about chinchillas in 1953. Chapman wasn't even the first man to dream about having a whole herd of chinchillas either. A lot of people had already been dreaming about that. 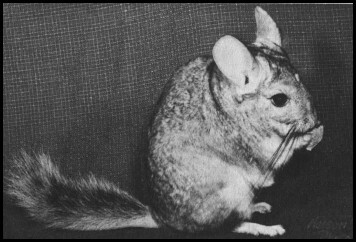 Within a year of his first encounter with a Chinchilla, Chapman applied to the Chilean government for permission to capture several of these little creatures and transport them to the United States to start his first herd. By the time this was occurring the animals were nearing extinction as the direct result of excessive trapping for their pelts. The Chilean government was reluctant to give Chapman trapping abilities, let alone take the rodent out of the country. Chapman did not give up without a fight and his persistence paid off when the Chilean Government allowed him to do what he wanted. A trapping party of 23 men was hired to capture as many of the furballs as they could. Mr. Chapman was able to get only 12 animals, nine males and three females. Their journey to North America took them from Poterillos, Chile, via railroad to the coast. They then went by the coastal steamer, Palena to Calloa, Peru followed by a steamship trip aboard the Anyu Maru to San Pedro California. They landed on February 22, 1923. One of the original animals, a male named Old Hoff lived to be at least 22 years old. Since the chinchilla's native habitat was near 12,000 feet above sea level and it was quite cool and dry, Chapman planned to give the rodents lots of time to acclimate themselves before boarding a ship to sail to California. He believed that previous trappers had failed to keep their captures alive because they did not allow them enough time to adapt to their surroundings. Chapman put the chins in cages and gradually lowered them down the mountain over a 12 month period of time. They were cooled with blocks of ice and shaded from direct sunlight. His careful attention to their needs paid off, and all 11 survived the trip down the mountain. While on board the ship they still received constant care. Supplies of ice were used to keep them cool, and wet towels were placed on their cages. While traveling on the ship, the animals shed their fur before they had arrived in Los Angeles (February 21, 1923). A kit was even born while in route to the states. The first farm was located in Los Angeles, the next in Techachapi California. There he was plagued with spring water that contained chemical matter believed to have reduced production and by the theft of approximately half of his herd. It is believed that the stolen animals all died. Mr. Chapman moved back to the Los Angeles area to 4957 West 104 Street, then a county area identified as Inglewood. Mr. Chapman’s early structures approximated the conditions of the wild. He built a large retreat of brick with an adjoining room. The original structures promoted open air, large space and insulated nest boxes. The housing provided areas of protection from and full exposure to the local climate. The animals were offered a variety of feed and many places to exercise. In the early days, most people did not even know what a chinchilla was and the fur industry had yet to establish a stable market for the domestic chinchilla furs. Over the years Chapman did some experiencing with the chinchilla's housing and diet. As the herd developed, they were offered for sale. Once the herd was established, their cost soared as high as $3200 per pair. By the mid-1960’s thousands of chinchilla ranches were created, and chinchillas began to be offered as pets, their price usually $100 per animal. With approximately 3000 ranches throughout the Unites States and Canada breeding chinchillas, their success as pets can only be given to M.F. Chapman for his dedication to the chins well being in the beginning. This interest lasted the remainder of his life. In the late twenties the chinchilla population expanded 35% per year. By the early thirties it was up to 65% per year. By the end of the thirties, production was doubling yearly at times. By the early forties, females were averaging 2.5 young per year. As time went on, floor space was cut in half as the chinchillas did well with less exercise. 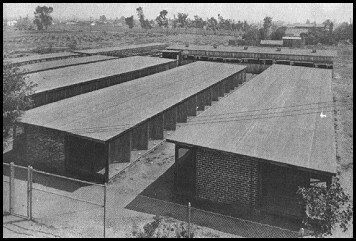 Adopting the principles of raising poultry, raised wire bottom cages were used with the droppings falling to the floor below- a major change from the original wooden cages. Mathias Chapman died in 1934. His son, R. E. Chapman, continued the business creating the "WORLD’S ORIGINAL SOUTH AMERICAN CHINCHILLA FARM" in 1942. This was an era of many changes and it became evident that chinchillas would be saved from extinction. There were now a few hundred ranches worldwide. In the 1950’s, there were chinchilla ranches in most of the developed world except Asia and Australia. Ranchers continued to innovate with buildings, cages and equipment and management systems to suit local climates. By the middle 1960's, thousands of ranchers throughout the United States and Canada were raising them. As their numbers grew they were finally offered as pets. One magazine offered pet Chinchillas for $100.00 a piece. The ad described them as "little fur ball-quiet, odorless, and vermin free". During this period, the quality of the animals was continuously improving. Pair mating dominated breeding until the fifties. With polygamous mating following, superior sires were chosen to improve breeding. More attention was paid to commercial scale pelt production. In the following years, ranchers continued to experiment with buildings and improved equipment. Today’s chinchillas thrive in the best conditions technology offers. The quest for best quality fur is ongoing. Despite market variations, the North American chinchilla industry thrives, thanks to early efforts of Mathias F. Chapman. Chapman probably never had the intention that the animals would be pets; even though, he developed a huge attachment to some of his breeders. The following article below tells you about more detail in-depth of Mathias F. Chapman. The chinchilla was not known outside of its natural range in the South American Andes until the 1500's when the Spanish conquered the Chinca Indians. Chinchilla furs were shipped to Europe as gifts to royalty. Chinchilla fur gained popularity in Europe during the 1700's and, by the 1800’s; trappers were managing to decimate the wild chinchilla colonies that remained. In 1899, the "Chinchilla King" Richard Glick, of Leipzig, Germany, handled 78,500 pelts, and more than 300,000 pelts in 1900 and 1901. It is estimated that over a million chinchillas were trapped where their pelts shipped to Europe during this time. Finally, with the chinchilla nearly extinct, the South American governments passed laws outlawing the trapping and killing of chinchillas. Mathias F. Chapman was working as a mining engineer for Anaconda Copper in Chile in 1918. One day a local native Chilean Indian brought a chinchilla he had captured to Chapman’s camp in a tin can to sell. Chapman bought the chinchilla and became more and more interested in this little animal. From his experiences with this chinchilla he developed a plan to obtain more of these animals and transport them to the United States. Originally, his thought was to breed chinchillas as pets, but later he conceived the idea of raising chinchillas for the fur market. In 1919, Mr. Chapman set about capturing as many chinchillas as possible so that he could establish a breeding population. There were several different "types" of chinchillas in the Andes. The smaller Costina type was found at lower elevations and the larger Lanigera type was found in the higher altitudes. M. F. Chapman’s home at Potrerillos, Chile, was at an elevation of 10,400 feet that is estimated to be about the demarcation elevation of the smaller Costina and the larger Lanigera types. Since most all of the lowland chinchillas had already been trapped out by the time Chapman began his collection, it is thought that most of his animals were of the Lanigera type. This is one of the Costina type chinchillas captured by M. F. Chapman. The search for chinchillas was not an easy one. When his 23 trappers brought in fewer chinchillas than expected, Chapman stepped up his plans and many field trips were taken. Living conditions were primitive. Supplies had to be transported long distances. The search, which took from 1919 to 1922, covered immense areas including trips into Peru. 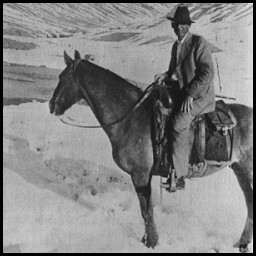 Mr. Chapman in the high Andes (1920). 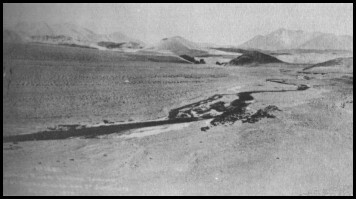 The Rio Juncal Valley where Chapman and his trappers searched for chinchillas. One trapper who captured a chinchilla reported that it had taken four weeks to return from where the chinchilla was captured. Donkey in a container made of a five-gallon oil can carried the chinchilla. It had been fed, but had been given no water since the Indians believed that chinchillas did not drink and would die if given water. It is believed that this chinchilla was trapped between an elevation of 14,000 and 18,000 feet. It took three years for Chapman to acquire just eleven chinchillas worthy of breeding. It is not known how many were of the Costina type and how many were of the Lanigera type, but it is clear that the eleven chinchillas represented different types from different areas. Of these eleven chinchillas, it is known that only three were females. Dona Inez Suez, the finest of the original eleven chinchillas. At this time, in 1922, Chapman began the process of gradually working his way down from the mountains with his precious collection. The trek from his home at over 10,000 feet to sea level was taken in several stages to give the animals a chance to adjust to the change in altitude. 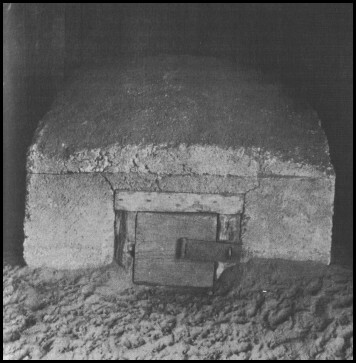 The chinchillas traveled in large wooden cages that Chapman had specially built. They were shaded from the direct sun and, when necessary, were cooled with ice. Thanks to Chapman’s care, all eleven chinchillas made it down the mountain. Also during this time, Chapman was working on getting permission to bring his chinchillas to the United States. At first, he was denied permission to take the chinchillas out of Chile. However, his persistence paid off and the Chilean government finally granted permission to export the chinchillas in 1923. 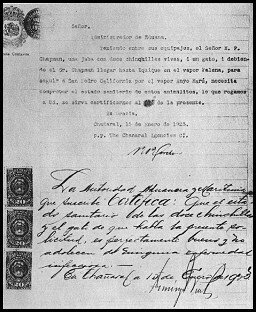 Official document attesting to governmental approval for export on January 15, 1923. Once down the mountain, the chinchillas were transported via railroad to the coast. From there they traveled via the coastal steamer Palena to Callao. In Callao, Chapman and his wife, together with the eleven chinchillas boarded the Japanese freighter, Anyu Maru, for their voyage to San Pedro, California. 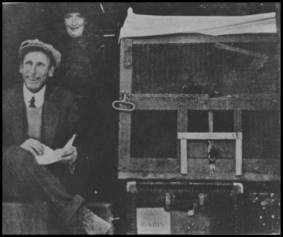 Mr. and Mrs. M. F. Chapman with the crate in which all the known captive chinchillas in the world were placed for shipment from Chile in 1923. Actually, in order to get his chinchillas aboard the ship, Mr. Chapman had his friends bring the chinchillas aboard in their pockets. Only after they were well out to sea did Mr. Chapman inform the captain that he had the animals in his cabin. Chapman had the cages brought up from the hold and threatened to sue if there was any interference with the chinchillas. In order to fight the heat during the trip, both Mr. and Mrs. Chapman took turns stocking the ice compartments built into the cages and draping the cages with cooling wet towels. When they arrived in San Pedro on February 22, 1923 (Washington’s birthday), the Chapmans had twelve chinchillas with them. One chinchilla had died during the voyage and two babies were born. Official communication attesting government approval of arrival and date of arrival in the U.S. The twelve chinchillas stayed briefly in Los Angeles until the first U.S. chinchilla farm was built in the high desert area of Tehachapi, California. Mr. Chapman endured several problems at first. From the start he had problems with chemical matter in the spring water. It was thought this contamination might have affected the chinchillas' ability to reproduce. Then he had to deal with the theft of nearly half his herd. The thieves broke the padlocks off the doors of the chinchillas' houses. Chapman Farm at Tehachapi, California, where the farm was set up after its first temporary location in Los Angeles, California. This was one of the concrete chinchilla houses at Tehachapi. Note how the door could be padlocked. During the escape the animals were taken across hot deserts by car and many perished. The remaining animals left the country on a tramp steamer from Brownsville, Texas, on their way to Europe. Mr. Chapman’s efforts to secure the return of these animals ended up with the authorities in Europe ordering that the animals be turned over to a Doctor Muller, where the last of these animals expired. After so many disappointments and losses, Mr. Chapman moved back to the Los Angeles area. The exact location was 4957 West 104 Street, then a county area, but identified by its post office as Inglewood. At this second location, Chapman endeavored to approximate the conditions in the wild. This was hardly an easy task. First building at 1457 W. 104th Street, Inglewood, California. Not too long after the construction of the first building was completed, a second set of buildings, even more interesting and maginative, were built. A large retreat of brick was built, adjoining an open room. The brick room was 6 x 8 feet and high enough to stand up in. There was six inches of soil on the ceiling for insulation. Above the ceiling was an air space of 12 inches, topped by a good roof. The cage area was about 6 x 6 and was also high enough for a man to walk into. Each cage contained an insulated nest box. The idea was to provide the needed environment to establish this animal in captivity and not to be concerned about the economics. Thanks to Mr. Chapman's concern and ingenuity his chinchillas thrived. The second series of buildings at Inglewood. The first building can be seen in the background. 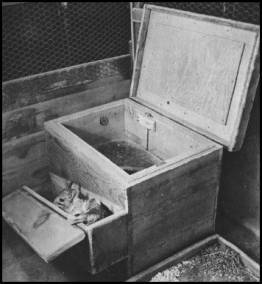 Early type of nesting box developed by M. F. Chapman. 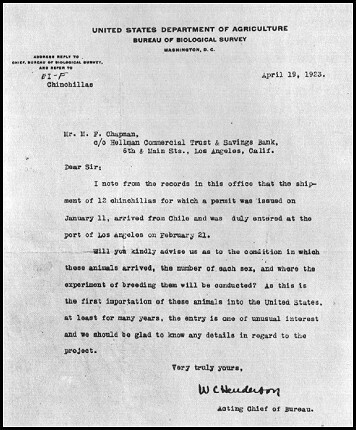 Mr. M. F. Chapman died on December 26, 1934, eleven years after beginning the domestication of the chinchilla. Mr. Chapman’s grand experiment literally resulted in the birth of the chinchilla industry. In later years, there were a few Costina type chinchillas and a few Brevicaudata type chinchillas that were imported from South America and crossed into some of the early chinchilla herds. However, the foundation of today’s chinchilla herds can all be traced back to Mr. Chapman’s eleven original animals. M. F. Chapman and Pete. Pete often rode on Mr. Chapman's shoulder as he tended to the rest of the herd. Some of M. F. Chapman's original eleven chinchillas survived him. One of his animals (the eighth one caught and for that reason tattooed with the number 8) lived to be about 22 years old. His exact age was not possible to establish since he was born in the wild. He was nicknamed Old Hoff, for the German blacksmith who built the shipping cages used to transport Mr. Chapman’s chinchillas to the United States.